As I have been reconstructing my blog I came across this post from a few years ago that I never published! This post has an amazing message about loving what is. As I reflect back into my past, I realize it is time for me to apply this post into my life now. 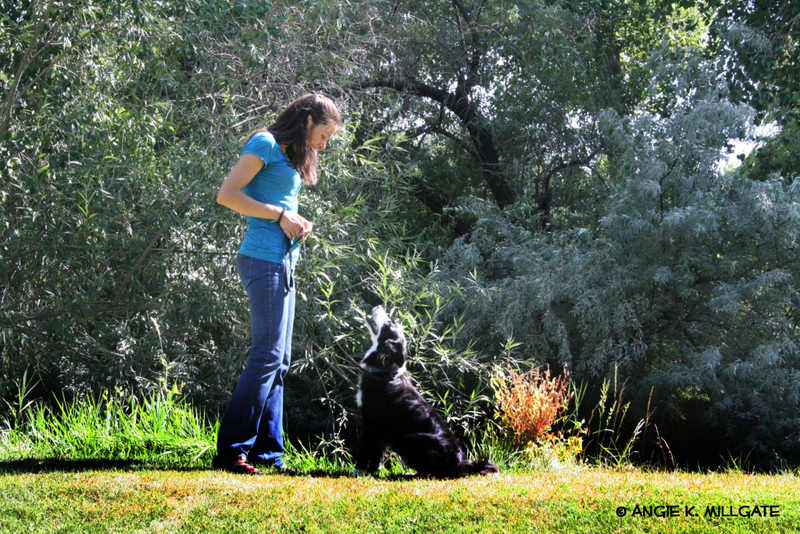 The story and the exercise below is created to shift you from frustration to love with your dog. These exercises are great for people who own a dog that has a stressful behavioral issue or a stressful obedience issue. Yesterday, I compared my life to someone else’s life. As a result, I was focusing on what I did not have instead of what I wanted. I talked to my friend, and he was having a blast at his house with his friends. I wasn’t invited. As I got off the phone, I felt sad. I began to wonder why I wasn’t invited. Then I began to realize that happiness comes from our internal selves and has nothing to do with our external environment. I began to focus on loving myself just the way I am and to love the life that I have right now. I also realize that I have the power to create whatever I want in my life. The more I focus on what is missing, the more I get what is missing. The more I focus on creating what I want and feeling grateful for what I already have, the happier I feel. I can then live in a world that is constantly filled with love and light. 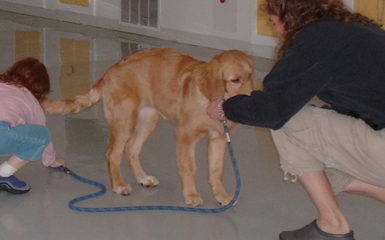 This morning I realized that I wanted to write about this in regards to dog training. 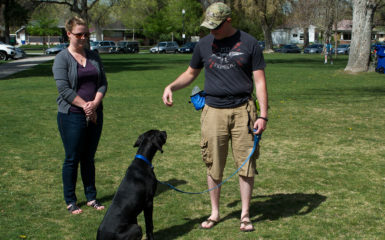 Salt Lake City, is full of owners who experience frustration with their dogs. I notice that many of my clients want their dogs to be different. 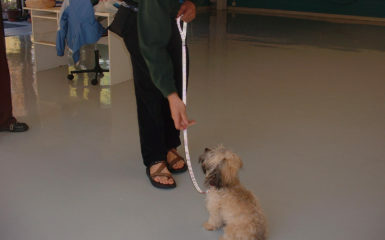 For example they want their dog to walk on the leash better, to be quiet, to sit instead of jump, etc. These are all wonderful things. However, the more we focus on what our dog is doing wrong the less we create what we want and the less gratitude we have. My advice to dog lovers is the following. Focus on what you want to create. If you want your dog to sit instead of jump. Focus on how your dog is sitting more instead of how your dog still jumps sometimes. If you are unsure of what you want, be present with not knowing. Then seek advice. Read a dog training book, talk to friends, or receive support by contacting Four Legged Scholars LLC Dog Training, Salt Lake City. Also focus on what you have now. Be grateful. Make a list and focus on what you love about your dog! I am grateful for my dog, Seiki. He is always full of love. When I feel sad, angry, etc he is always there to comfort me. He makes me laugh as he is so good at entertaining himself. He runs circles in my yard! He loves to jump and catch the snow. He loves to catch flies and I love watching how it is so easy and effortless for him. He loves people in general. He is always wanting to play no matter what. I always have a play buddy. He is an awesome buddy when I am hiking. He cuddles with me at night like a teddy bear. He is a fast learner with dog training. Salt Lake City has many awesome dog parks where I can train him. When I look into his eyes I see his soul. As you focus on gratitude for your dog. Do more of those activities together and treasure those moments. Focus on fun activities that you can do with your dog now. This is a wonderful exercise to practice . It will shift you from frustration to love in a matter of seconds. 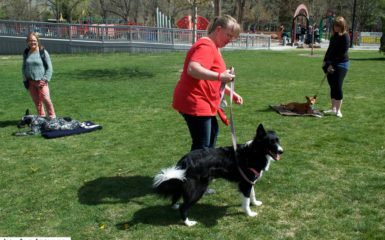 Many of my Salt Lake City, dog training clients hit burn out or frustration when they have an aggressive or fearful dog. They may feel that they are excluded from activities that other people can do with their dogs. This is similar to how I felt when I wasn’t invited to hang out with my friends. I felt excluded. Now try this above exercise and shift from feeling excluded to creating joy with your dog. Remember each dog has a special gift that another dog doesn’t have. If we focus on gratitude, we can remember that we can just love our dogs for who they are in this moment with no changes. We want to hear from you! Please comment below. What special gifts does your dog give to you? Hi Johanna, I love this post. It is so true that what we focus on is where our perception lies. I also appreciate, as do you, that people find it so hard to know what to do to resolve issues. So much information out there, which is the best to follow? Hi Kathie! I loved reading your perspective of this post!!! I so agree that perception is a huge aspect in our happiness and love with our animals! Thank you for acknowledging this!! Namaste! Thank you for challenging me to write a post about my dog Forest. I actually have 3 dogs. All of whom I love equally and who have individual, special places in my heart. Tazz is our 12 year old man. A labrador and a loyal friend. Jack is our 9 year old pug. He’s happiest when he’s sitting on our feet, just touching us. And then there’s Forest, our new addition. A 7-month old Pit Bull. I found her through a KSL ad when she was 6 1/2 weeks old. It was love at first sight for me. I think I adopted her to fill a void that I was feeling in my life. Right away, I could see that she was special and I wanted to train her correctly, mostly to dispel the “stigma” that is associated with Pit Bulls. She has brought so much happiness to my heart and is definitely filling “that void”. smile where my eyes wrinkle up and the corners of my mouth almost touch my ears. * I really only need to look at her sweet, pit bull face, and my heart melts in love. * She LOVES people of all ages, but especially children. * She LOVES to play. Any game is her favorite. * She’s a fast learner which makes training her feel successful and rewarding. * You can see the trust in her face when she is learning something new. * She follows me from room to room, all day long, which makes me feel loved by her. so she can go to bed. * She uses her paws like hands to touch my face when she wants to show affection. * She buries every bone we ever give her. * Everyday I discover new things about her that keep me utterly hooked. * She has my soul for life. Dana, This post melts my heart! I am glad you chose to take the challenge. Above all not only did you take the challenge but you put your full on heart and soul in this post! My intention is for you to look at this as often as you need to when you need to shift your perspective! Remember the challenges are just small stuff. What is really important? The love you two have for each other and the above proves it! Happiness and connection is much more important than terminal goals. Enjoy the journey and just watch where the two of you end up! You might be surprised! Looking forward to our next session! Namaste!